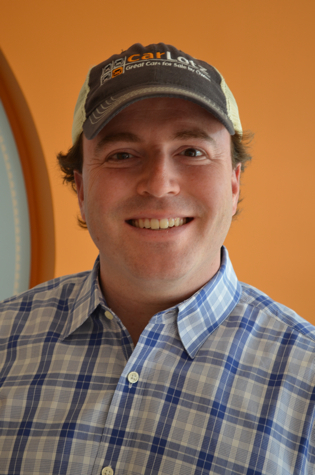 Meet Mike Bor, cofounder of CarLotz. He wants to take the sleaze out of selling used cars. Mike Bor wants to sell you a used car. But the former investment banker, who founded Richmond-based CarLotz along with his partners Aaron Montgomery and Will Boland, wants to pull off something of a miracle while he’s at it. He wants to transform the used car transaction, something almost synonymous with sleazy, fast-talking salesmen, and make it seamless, painless, and even enjoyable. For our Fast Talk chat, Bor actually spoke slowly and carefully–perhaps an artifact of his business’s Dixie environment–and I never got the sense that he was trying to sell me a lemon. FAST COMPANY: So you’re a used-car salesman. MIKE BOR: I am a used-car salesman, in a way. They seem a very maligned group. 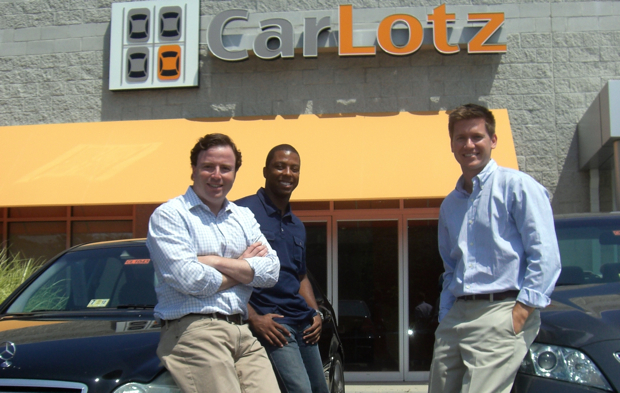 Everything we do at CarLotz all day long is try to change the way people feel about the used car transaction. As we developed the plan for the business, it became obvious that people for the most part really disliked the process of buying and selling cars. We were intrigued by why the industry had so much pain in it, and we wanted to solve all that pain. And so, you take the model of the consignment shop, and apply it to cars. A consignment shop is a shop where the shop doesn’t own the inventory in the store, and the seller is using the shop as a service, to help the seller get the best value for the item without dealing with the pain of selling it themselves. We have 80 cars on our lot, but we don’t own any of them. We basically empower the consumer to sell their car themselves and to get maximum value without dealing with the traditional hassles of the do-it-yourself market. When you sell a car yourself, you have to clean it, take pictures of it, post it, make sure people see it, meet a lot of strangers, make appointments, lots of which are no-shows… There’s lots of time wasted. At CarLotz we basically do all that for the customer. When our customers drop off the car, we charge a $199 listing fee. We get the car state inspected, professionally cleaned and photographed, and we post on three-dozen sites. We respond to buyer inquiries and we offer financing and warranties to make the cars as easy as possible to buy. When the car sells, we deduct a $599 success fee from the price of the car. So the seller is paying $798 to have their car professionally marketed and sold. Typically we’re adding somewhere between $2,000 and $7,000 worth of value for the seller, and for the buyer we’re typically offering a discount of between 10-25% off retail. So you charge the same amount regardless of whether you sell a Toyota or a BMW. Why is that good for business? We want buyers to come in here and feel as comfortable as possible. None of our guys are trying to get the buyer a more expensive car than they desire. If someone comes in here and wants to spend $12,000 on a car, we don’t immediately try to sell them a $16,000 car. They could wind up driving out of here in an $8,000 car. And from the seller’s perspective, we don’t want the guy dropping off a $10,000 car to feel any less important than a guy dropping off a $50,000 car. For us, we’re truly indifferent. I’d rather sell two $10,000 Camrys than a $20,000 BMW. We feel like the way to maximize profits is to start and propel a movement, and drive volume through our business. What’s it like running a startup out of Richmond, VA? We really wanted to be in a decently sized MSA [metropolitan statistical area] to prove we could make it in a place that wasn’t a huge city, but also wasn’t a rural community. Richmond fit the bill. Also, there’s a bit of a burgeoning startup scene here. It’s not yet San Francisco, but there’s a lot of innovation coming out of the universities, and it’s a very creative town. Most companies I talk to are national or international businesses. They’re “based” on the Internet more than anything. But since you deal in cars, you’re really a Richmond local business. We’re a Richmond business, but we’ve got national and international goals. But yeah, we’re a retail, old-line business, we’re just trying to do something very new in that industry. I go to entrepreneurial speaking engagements and say, “I’m Mike Bor, and I’m a car dealer.” For a long time people tried to figure out, “Why is this guy here?” But I think people have an appreciation of what we’re trying to do within the industry. When do you hope to scale? We want to replicate this model across the state, region, and country, but we have a long way to go in perfecting the model. We don’t think that’s gonna happen in the next year or two, but in the next decade we’d love to see this concept go nationwide. The company’s just nine months old now. Have you had any growing pains? When we first moved into our facility, it took us two-and-a-half months to get Internet access. For the first couple months, we could only do our transactions in the back-left corner of our building, since that was close enough to our neighbor’s wireless. We sat on chairs by the window. That was very endearing to our first few customers. Though probably not all of them. Did you ever fess up to the neighbors? No. They’re gonna find out now, I guess. Thank you, Mooers Volvo.